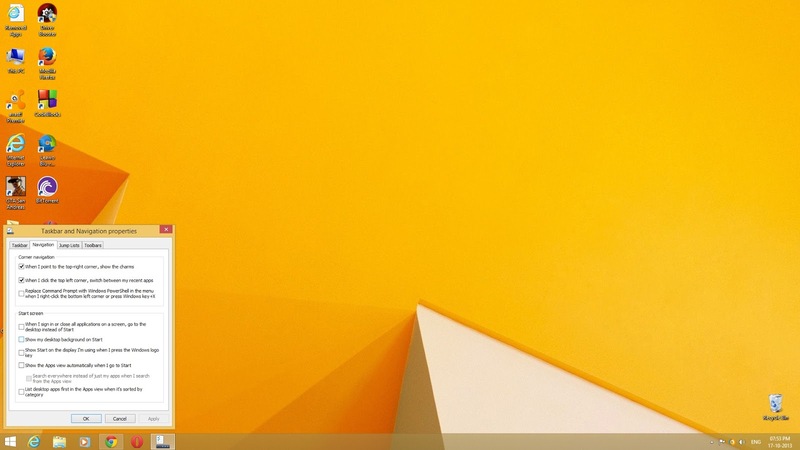 Tech O Blog : Windows 8.1 is popular now : A big story lies behind it ! There is a big story behind this figures which dates back to Windows 8.1 consumer preview which was released in early 2012. It removed the start button and start menu completely and replaced it with Start screen. This change became true with the launch of Windows 8 in October 2012. This was the final release and it was available for buyers and PC builders. But what went wrong is the reception of Windows 8 from the users of older Windows. They could not bear the major change as their favorite Start menu was gone. The new Start screen was criticized by millions of people and reviewers. It was touch centered version of Windows. Windows 8 never managed to grow much share while it's predecessor, Windows 7 was still loved by millions and kept increasing it's share. Microsoft could not do anything else but to release a completely refined version of Windows 8 as soon as possible. So they decided to do this and started working on it right away, but this time listening to the cries of it's users, they called this update Windows 8.1! They brought back the start menu and improved the desktop experience by a lot. Now Windows 8 can be turned off via the context menu of Start button without the need of opening the Charms bar. Boot to desktop became the most favorite feature to be included in Windows 8.1. The Start screen became a lot easier to work with mouse and keyboard. While touch screen users got more options to customize the start screen and a new and better internet explorer came with support of running multiple windows. Microsoft tweaked each and every part of Windows 8 and made sure that users, either using keyboard and mouse or touch love the new Windows. They nearly made it and now Windows 8.1 is showing signs of success though Windows 7 is still popular enough to be the world's most used OS. "Windows 8.1 is for Windows 8 users" that's why Microsoft made it available as a free update to Windows 8. The future lies where Microsoft is taking their next major operating system. At least now they won't make users feel alienated from the previous versions of Windows.That's it for now !